As we’ve gone through some of the biggest live casino announcements for 2019, let’s have a quick look at this year’s biggest upcoming video slots made by NetEnt. 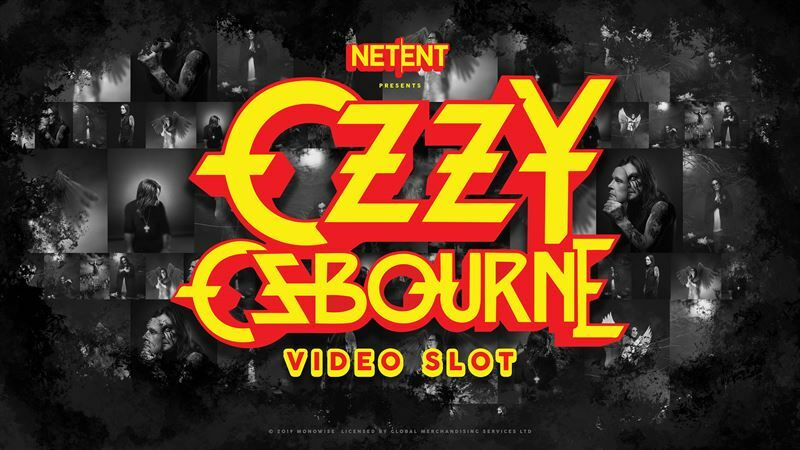 Surprise, surprise, this includes their fourth rock-themed video slot Ozzy Osbourne and Conan the Barbarian! One of the biggest rock legends, Ozzy Osbourne, is going to have his own video slot this year, as the deal between the Swedish games developer and rock star’s merchandising and brand management partner, Global Merchandising Services was proudly announced at the annual ICE 2019 event in London this week. Having sold more than 100 million albums, the legendary solo artist and the lead vocalist in Black Sabbath in the 1970s is going to give NetEnt fans a crazy train ride sometime this summer or fall, at the very least. This will mark the company’s fourth branded rock game release since the development of Guns n’ Roses, Jimi Hendrix and Motörhead just a couple of years ago. Another massive online slot from NetEnt that’s coming out this year is about a fictional sword and sorcery hero Conan the Barbarian! You’ve probably seen a movie of him starring Arnold Schwarzenegger, played Conan video or board games, or read his books or comics. All we know is that it promises to pack a punch with more than one sorcery feature for sure. Other branded releases featured at ICE 2019 include the horse-racing themed Scudamore's Super Stakes. This 5-reel, 3-row and 20 bet-line video slot features Random Wilds, Peter's Classic Cup, where the reel expands to 32 pay-lines, and a Bet Slip feature. All of you trotting fans out there, stay tuned as this one is coming out to featuring NetEnt casinos on 7th March 2019. Last but not least, stay tuned for Dead or Alive II slot, which is scheduled for 24th April 2019. More details on this one coming soon!